The St. Petersburg Ladies' Trophy is a professional women’s tennis event, it will be starting from 28 January to 3rd February 2019. The St. Petersburg Ladies' Trophy is the 10th edition and it will be played on the hard court at Sibur Arena, Saint Petersburg, Russia. It is the WTA premier tournament and also the part of the WTA Tour. In 2003 it first took place in Saint Petersburg. It was an ITF event in 2015, later on in 2016 it upgraded to the WTA premier tournament and the total purse offered $753,000. Last year the winner of this tournament was Petra Kvitova. In this competition world’s best tennis players take part including Daria Kasatkina, Kiki Bertens, Anastasia Pavlyuchenkova, Kristina Mladenovic, Julia Goerges, Maria Sharapova and many more. 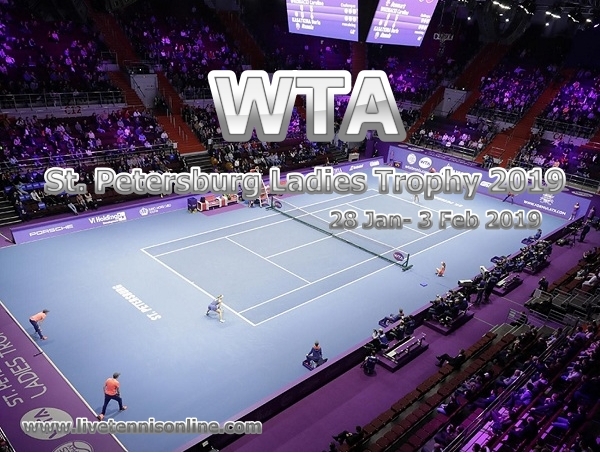 Enjoy St Petersburg WTA 2019 live streaming on your mobile screen across the world.